Back in October I discovered and promptly signed up for #sewingsanta, run by Lisa of http://stitchedupfromthestart.wordpress.com The premiss was simple, sign up, be allocated a recipient and spend £10 plus postage on sewing items for your giftee. When recipients were emailed through I was bemused to discover that mine was Lisa herself – eek! I tried to think about what would be useful, as well as how to spend my budget wisely. Lisa emailed on Christmas Eve to say she had received and opened her parcel, and was pleased with the contents. As well as some different buttons (I figured you can never have too many!) a taylor’s chalk (same) and a metre of patterned bias tape, (less practical, but pretty) I had been able to include a metre of Amy Butler fabric. 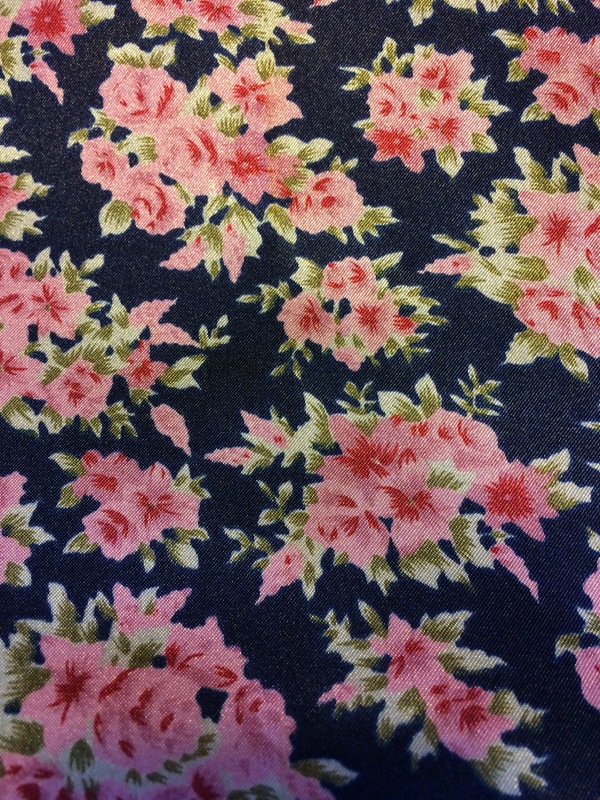 This pleased me, because whilst FQ’s are great, I felt like a full metre may be enough for a top or a bag….some kind of full project and not just a trim or patch. I would love to know what Lisa finally decides to use it for. 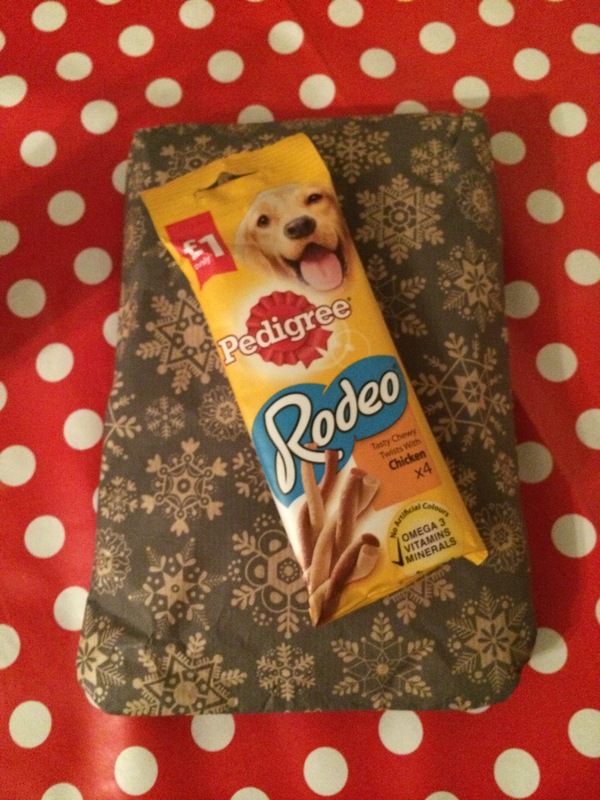 My gifter had included a packet of dog treats! I was touched by this, as I knew that they must have looked at my blog and known that I am devoted to my dogs. In addition, the timing was perfect, as the treats were to hand when I was being sulked at following enforced Christmas baths! Other than the treats, my parcel remained wrapped and under the tree until this afternoon. I had already opened several sewing gifts, which I will probably mention in later posts. As I opened my #sewingsanta I found two separately wrapped packages, one that was so soft and squishy it could only be one thing. I have yet to read it all properly, but I noticed it’s a size 10, and I think it’s an American pattern, which would translate into a size 14 – PERFECT for me! You will also notice there are some buttons on the bottom of the photo, which again I love and are different from anything currently in my collection. Lastly, I found this beautiful needle case, which I am guessing was made by my gifter? Covered in a gorgeous bird fabric, (I love all things with birds!) it came complete with accessories such as pins and needles, and left me feeling like one very lucky recipient indeed. It’s obvious my buyer spent time and effort selecting and preparing my gifts, and I definitely feel like they were bought with me in mind. I would like to say a big thank you to the person who was my #secretsanta – and herein lies my problem. In my pre-Christmas endeavour to be tidy, I threw away the jiffy bag without taking note of the sender. I don’t know who to thank! So here’s hoping they see this post, via either my or Lisa’s blog so they can see how much I appreciate their time and effort. 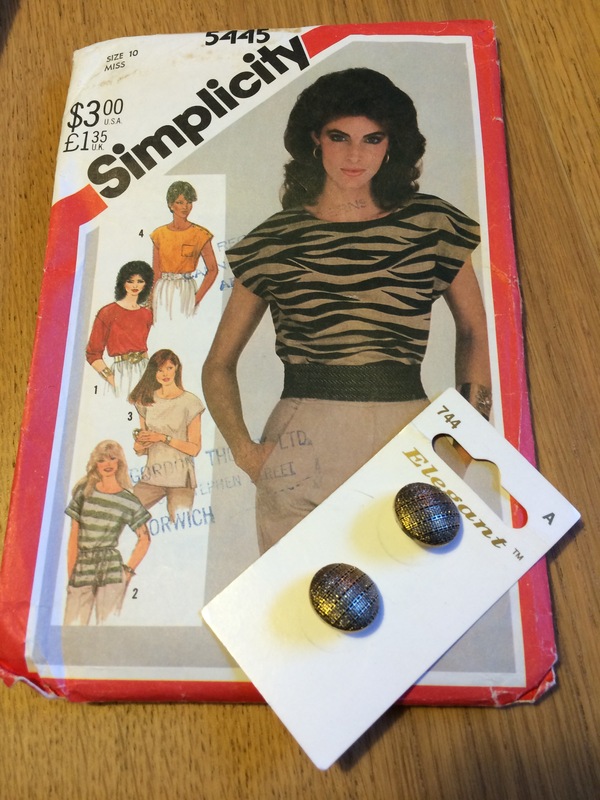 Merry Christmas to my #sewingsanta, and also to Lisa for arranging something that truly brightened up my Christmas. That’s quite a haul!!! Is that a vintage pattern too?? Love it. And, of course, loved my gifts as you know. I can fill you in on the identity of your secretsanta….but maybe they want to remain anonymous?? I’ll email the link to your post though – make sure they see it. It wasn’t me! These are lovely gifts. I hope you’ll let us know what you make! And well done for giving a metre of fabric! I couldn’t choose!! Really thoughtful gifts, I was very lucky 🙂 Looking forward to seeing your fabric too. 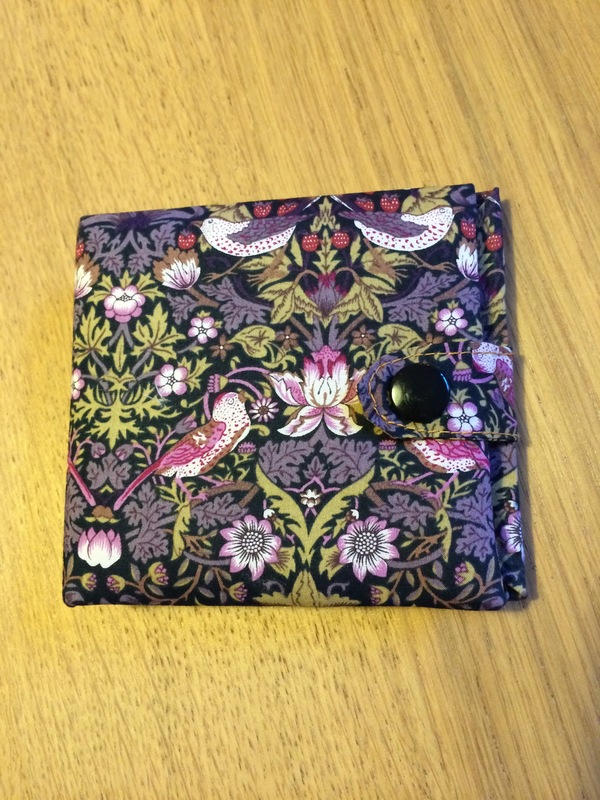 Ooh, that bird fabric needle case is just perfect! 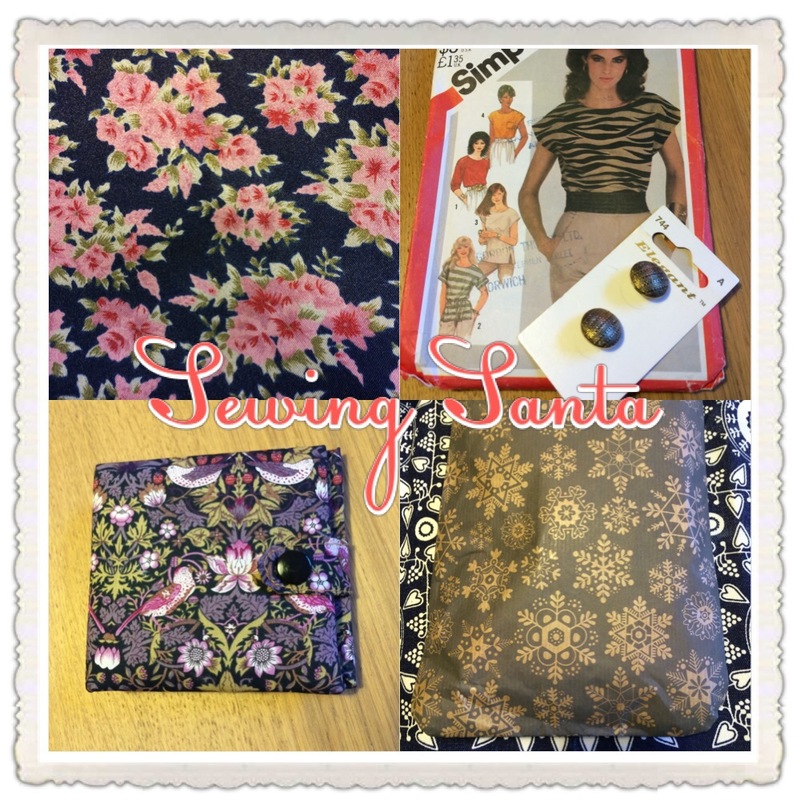 I loved my sewingsanta parcel too and have already taken photos in readiness for a blog post soon.